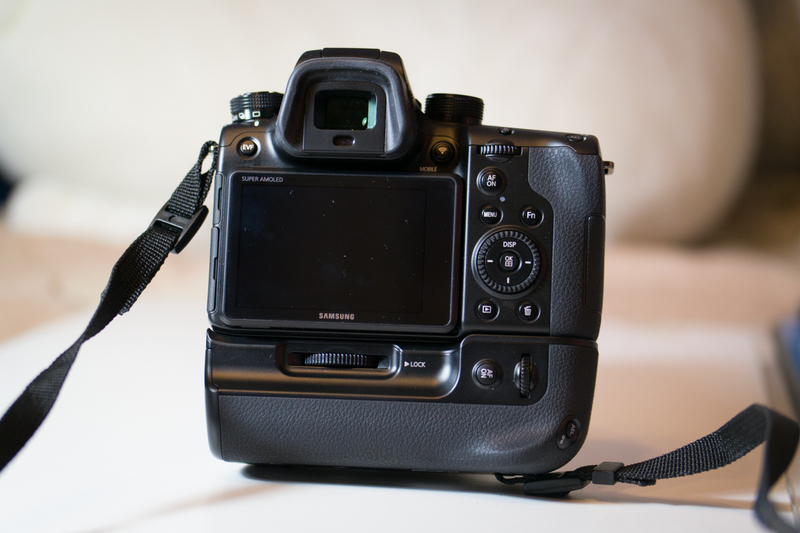 December of 2013 I bought my first interchangable lens digital camera, a Samsung NX2000. With my substational tax return the next spring, I invested in a number of lenses for this camera, purchasing 10, 30, 45, 60 and 85mm prime lenses and a 12-24mm zoom lens to go with the 20-50mm and 50-200mm zoom kit lenses. The NX2000 was considered one of Samsung's entry level cameras, and while it was a nice camera, it lacked some important features that I had relied on with previous cameras, such as a viewfinder. Samsung also produced mid-range and high-end cameras that use the same lenses, so I was considering an upgrade in the future. 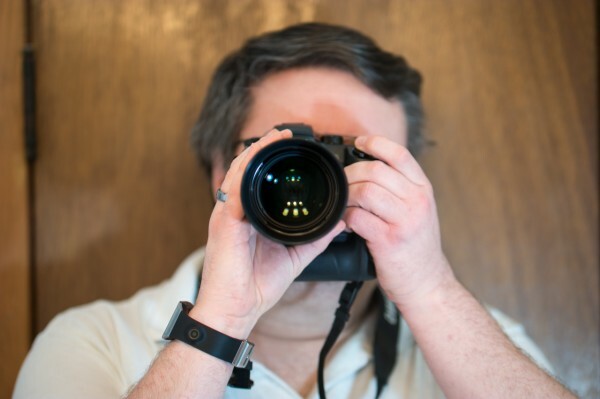 And then my SO bought me an NX1 for Christmas! 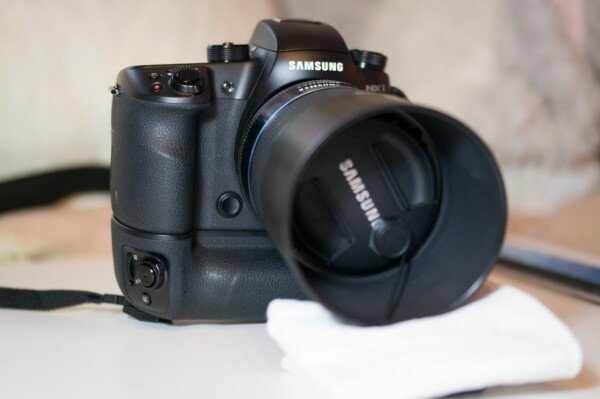 This is Samsung's first foray into a professional camera, and in developing it, they had their sights set clearly on the high-end full frame market. The sensor is still APS-C, but it's the first large sensor that uses Back Side Illumination (BSI), a design that boosts light sensitivity by about 30%. The sensor is equipped with over 200 autofocus points, more than most full-frame cameras, making the NX1 among the fastest focusing cameras available. It's one of the few cameras currently capable of shooting 4K UHD video. They also equipped it with a CPU derrived from one of Samsung's flagship smartphones, enabling an incredible 15 frames per second shooting RAW+JPEG!. This image processor also gives the NX1 the fastest electronic viewfinder ever equipped on a camera, with a mere 5 ms lag, faster than the human eye can detect. And they didn't slouch on the build quality, either; this is one of the heaviest and sturdiest mirrorless cameras ever made. It's ergonomically well designed, it feels really good in the hand and the controls are about the most intuitive and best laid out I've ever seen. I've added the vertical grip, which makes it much easier to hold the camera sideways. The grip adds a second set of controls including two command dials, AF ON, AEL and EV buttons and an additional shutter button. It also provides a second battery, doubling the number of shots per charge up to 1000, and the extra weight helps stablize the camera. I'm very impressed with the light sensitivity of this camera. 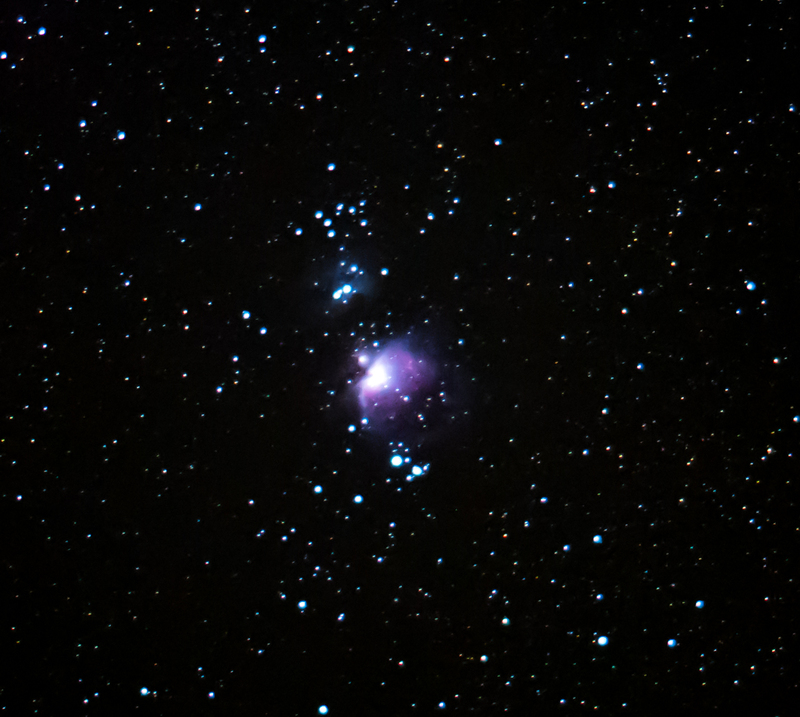 This is a photo of the Great Nebula of Orion, taken with just the NX1 and an 85mm f/1.4 prime lens. The autofocus is really amazing. I wasn't planning on shooting a rabbit in mid-flight, I just swung around and hit the shutter as the bunny darted past. 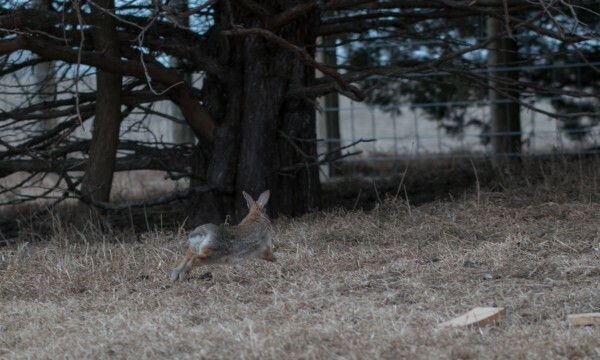 Caught her in mid-hop! None of my previous cameras could do this. I'm hoping to buy two of Samsung's newest lenses soon, a 16-50mm f/2.0-2.8 zoom and a 50-150mm f/2.8 zoom. While I have lenses in these ranges, they are significantly slower, f/3.5-5.6 for my 20-50mm and f/4.0-5.6 for my 50-200mm. I use split red lentils to make this dish. They cook very quickly and don't have to be soaked. You should pick through them first, however, to check for stems or stones, then rinse them throughly with fresh water to clean off any remaining dirt or debris. Lentils are loaded with fiber, protein, iron, potassium, magnesium, zinc, phosphorus, folic acid, pantothenic acid, thiamine, riboflavin, niacin, and B6. Red lentils will turn yellow as they cook, so don't be surprised when the soup isn't the same color as the raw lentils. Start by making a soffritto, the Italian cousin of the mirepoix. Chop 1 cup of carrots, 1 cup of celery, 2 cups of onion, and about 5 or 6 cloves of garlic. Saute in olive oil until soft. Add 2 cups of lentils, 6 cups of chicken broth, 2 large bay leaves, a teaspoon of smoked Spanish paprika (pimentón ahumado), and some fresh black pepper. Bring to a boil, then reduce the heat and simmer for 30 minutes. If you use brown or green lentils, it may take longer. Stir in 1 tablespoon of Balsamic vinegar. You can puree the soup if you prefer it smoother, but I just serve it as is. Serve garnished with croutons, fresh parsley and/or heavy cream, greek yogurt or sour cream. 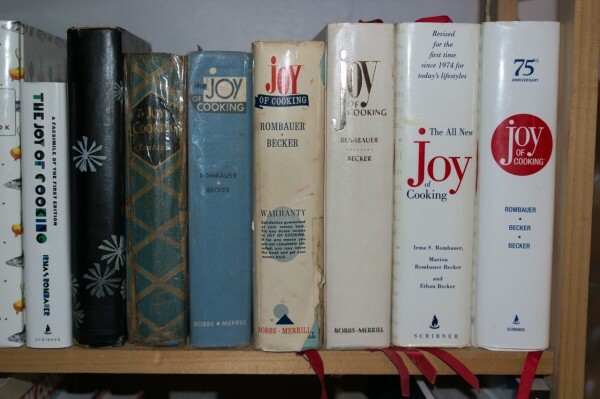 I have always enjoyed cooking and my first cookbook was a copy of the 1975 edition of the Joy of Cooking given to me by my grandmother. Over the years I've purchased the new editions as they've come out, and I've recently started buying the older editions as well. I've finally managed to acquire one of each of the eight official editions that have been published.